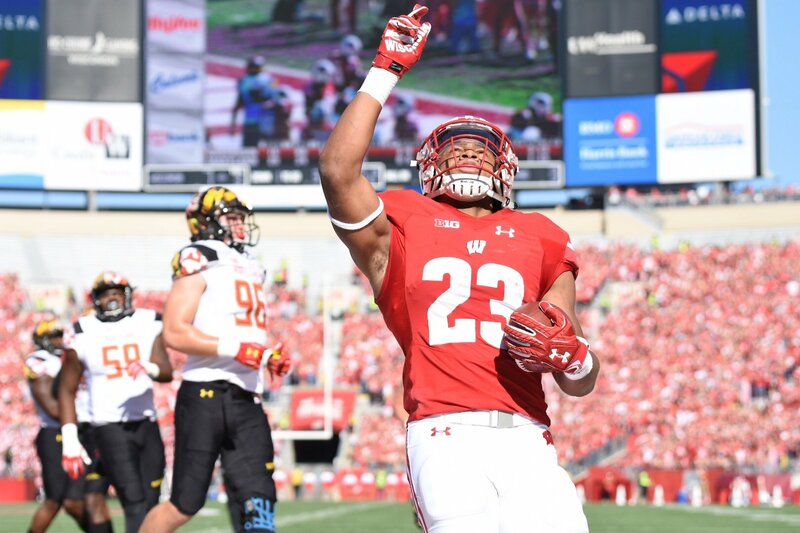 The 2017 homecoming week celebrations ended on a high note after the University of Wisconsin football team demolished the Maryland Terrapins. 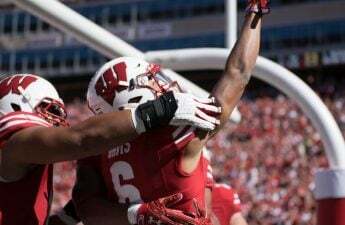 Wisconsin started the game off strong, with T.J. Edwards managing to get a touchdown off an interception from Maryland quarterback Max Bortenschlager. This would earn Wisconsin their first goal of the game and from that point out, the Badgers would manage to overpower Maryland, holding them to only three points during the first half. Wisconsin saw a strong game played on all fronts of the game, with the offense scoring 28 points in the first half, and the defense managing to make some big plays. 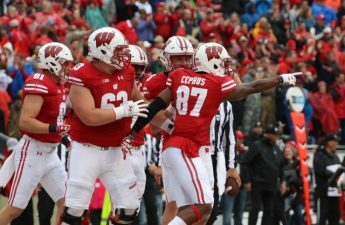 This was unlike many of the games Wisconsin has played earlier on in the season, where the Badgers tended to struggle during the first half of the game. Saturday’s game would also lead to a very unfortunate injury as UW’s Chris Orr would leave the game during the second period with an upper arm injury. Orr would be ruled out during half-time, and his presence was noticed during the second half of the game. The second half of the game was slower for Wisconsin than one would have liked, with the team struggling to find the same momentum that they had managed to find during the first half. Maryland, however, had no problem mustering up some drive during the second half. Maryland — who was held to only a field goal during the first half of the game, managed to create some pretty good plays for themselves — gaining ten points by the end of the third quarter. Wisconsin, in the mean time, wouldn’t manage to get back on the board until the fourth period. Still, Wisconsin showed a great effort during the game, and even with Orr missing, the Wisconsin defense still managed to hold back the Terrapins to only 13 points. Maryland is a tough opponent that showed Wisconsin is capable of playing a tough game and walking away with a high score. Another celebration coming out of this series was the fact that Wisconsin’s running back extraordinaire Jonathan Taylor managed to get his 1,000 rushing yard during the first quarter of the game. He joins seven other quarterbacks who have managed to achieve that goal during their Freshman year, including Adrian Peterson and Emmitt Smith. As strange as it might sound, the success of this game is actually not determined by what happened on the field today, but rather what will happen on the field in Pennsylvania later this evening. Depending on how the Penn State and Michigan game goes later today, it is possible that Wisconsin will be the only undefeated team remaining in the Big Ten.